A man that needs no introduction, legendary French designer Jacques Garcia invites us into his magnificent Paris design studio to share just what makes him tick. RV: Can you tell us about your background and the experiences that have shaped the person you are today? JG: Destiny is something that is totally unpredictable in life. I think that I embrace the unpredictable, the idea that “the impossible is possible”. I came from a modest background, but we lived in a lovely home in the eastern suburbs of Paris, in Champigny, not far from a slum where some of my classmates lived. My father was a Spanish immigrant and was quite intellectual, he was very passionate about literature and beauty in the broadest sense of the word. He worked to earn a living and to feed his family. When I was little, I used to love looking for bargains with him at the Montreuil flea market, which you could say gave me a taste for beautiful objects. My mother came from a well-to-do family in central France who were very attached to the land; they had vineyards, an amazing vegetable garden and people running the house. I was brought up with the idea that there was no such thing as social hierarchy, that class didn’t exist. I was really affected by an experience that I had with my father. When I was around 10 or 12 years old, he took me to the Ritz for a drink and they refused to let us in. It made quite an impression on me. When I was studying at Penninghen, a college for the arts and interior design, I soon realised that there were two different worlds, and there were codes that I hadn’t learned, including dress codes. The hardest social barrier to overcome was the petite bourgeoisie that close doors, even though the level above, which I thought was totally inaccessible, is actually accessible if you have intelligence and talent. RV: How did you first get into interior design? JG: I started at my first interior design agency as a junior designer, then a project manager, then as head of the agency. I bought a flat for myself on credit with my bank who were always calling me about my overdraft! One evening, I had Philippe Guibourgé over for dinner – he had taken over at Chanel before Karl Lagerfeld, a brilliant young man, very funny, along with Marc Bohan, who had been a designer at Dior for 20 years. Philippe said to me, “We think that you have a lot of talent, and we’re going to give you some advice: sell your flat and rent somewhere that’s worthy of you, decorate it, and you’ll have the clients that you deserve. You will only be sought after by the best if you are the best yourself”. After that, I had an amazing opportunity, and I was able to buy the Hôtel Mansart de Sagonne, which was built in the late 17th century in the Marais. I decided to rebuild my fantasy, with my own style, without depending on anything material or philosophical. Success helped and some big projects came along. Some important French clients would say to themselves, “it’s incredible that he is capable of doing something like that”. I wanted to be different, not just follow in the footsteps of the style of the day, but rather focus on the eternal culture of this country that adopted my father, who thought that it was the most beautiful country in the world. French people are different because we have 300 years of incredibly intense cultural history, and that can never be taken away from us. JG: Some people, such as Jean-Louis Costes and Diane Desseigne, managed to persuade me to explore possibilities other than the grand and the beautiful, like the Hôtel Mansart de Sagonne and the Château du Champs de Bataille, which are my two big passions in life. Diane Desseigne was an exceptional woman, really intelligent, humane, and also incredibly beautiful. We had a great relationship, and it was she who drove me to create my first hotel, Le Royal in Deauville. I’d just bought the Champ de Bataille estate, it was all going wrong with the 1992 financial crisis. She said to me, “You’ve got lots of talent, I’m sure you’d be able to do something amazing with my hotel”. That was when I got the idea of bringing the whole town into a private hotel, with reception rooms, bars and restaurants that were open to the public. Before that, hotels were just for its hotel guests. 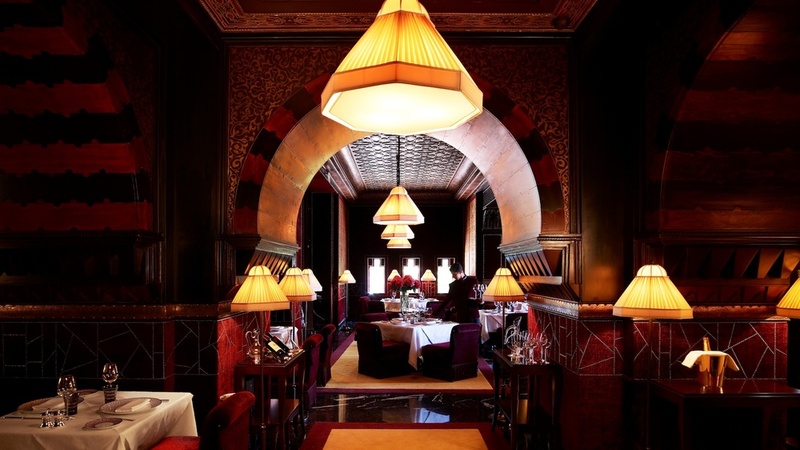 Hotel Costes, Le Fouquet’s, La Mamounia in Marrakech and the NoMad in New York are now city hotels. That’s what makes me happy, the fact that they are accessible to everyone. It all goes back to what happened with my father at the Ritz. The idea that a hotel, a palace, can be fun. There’s nothing worse than ghettos, whether they’re for the rich or the poor! JG: When I first met with Jean-Louis Costes, I suggested transforming a filthy old building into a 19th-century townhouse, swapping the architectural space of the courtyard with large windows for a winter garden and a restaurant. I loved the idea of the multicultural aspect of the Empress Eugénie's aesthetic, in other words, that she was able to bring together different eras from the past, including having a Gothic room and a Louis XV room, to a Louis XVI room; that 19th-century trend where everything was mixed up. So the clientele also became multicultural, with trendy showbiz types, black people and artists. A duchess at one table and a rock star at another. I love that, that open-mindedness, it suits me, and I’m proud of it. That’s one of my contributions to the hotel world. 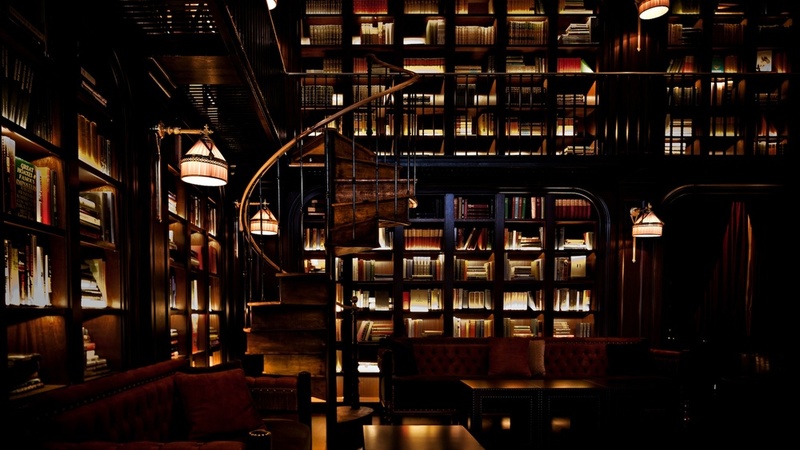 There are also more recent projects, like La Réserve or La Maison Souquet, which are more intimate. I’m Doctor Jekyll and Mister Hyde from a creative point of view. I’ve always had this duality of modernity and history. It’s not worth asking me to do something basic, like everyone else. Ask someone else, I’m not interested. Ask me if you want something a bit extravagant, out of the ordinary, like nothing else! 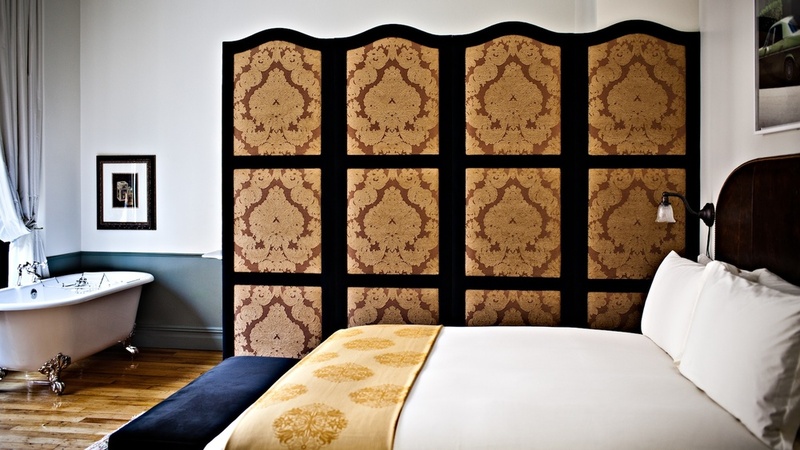 JG: I’ve been fascinated by the Marais district since I was 20 years old. At that time I could see all of these houses, these abandoned masterpieces. I love neighbourhoods with different things happening in them. I don’t like ghettos. I like areas where artisans, shopkeepers, the rich and the poor all live together. I absolutely love that combination. Paris is really special, because it’s a city dedicated to pleasure. It is incredibly lucky to be crossed by the Seine. It’s a small city and a big town, it has both sides to it. There is an intimacy in the different areas that creates this rather extraordinary conviviality. I really love the quality of our architecture, a history that runs from the 16th century through to the 19th century, when France really shone throughout the world.